SPORAH TV: A TRUE LIFE STORY ON "HOW SHE BECOME A MOTHER IN LESS THAN A WEEK" A QUICK LESSON ABOUT BRANDING, THE QUEEN OF ZAMBIA-UK, URBAN PULSE & SO MUCH MORE..! 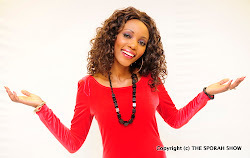 A TRUE LIFE STORY ON "HOW SHE BECOME A MOTHER IN LESS THAN A WEEK" A QUICK LESSON ABOUT BRANDING, THE QUEEN OF ZAMBIA-UK, URBAN PULSE & SO MUCH MORE..! SPORAH MEETS ARNOLD FROM GHANA..! HEY ARNOLD WELCOME TO THE SPORAH SHOW! ARNOLD INTRODUCING Me FiRi GHANA..! 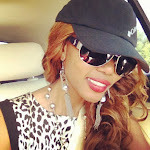 ON SET WITH THE QUEEN OF ZAMBIA UK.! ETHEL, BEFFTA MEMBER AND THE ORGANISER OF THE QUEEN OF ZAMBIA UK ON SET WITH SPORAH.! LOOKS LIKE SPORAH WANTS THE CROWN NOW ... WHY NOT? IT'S URBAN PULSE IN THE HOUSE..! FRANK EYEMBE AND MISH (DA FYAH SIS) aka MICHIE P.
MISH DA FYAH SIS IN THE MIDDLE, READY TO PERFORM LIVE ON THE SPORAH SHOW.! SPORAH MEETS ZEINAB C OTHMAN FROM TANZANIA.! OUR LAST GUEST WAS ZEINAB FROM TANZANIA..! OKAY, SO ZEINAB TELL US ABOUT YOURSELF..! SHE TOLD THE SPORAH SHOW HOW HER LIFE TUNED AROUND WITHIN DAYS.! ZEINAB BECAME A MOTHER IN 3DAYS..! I HAD A CHANCE TO MEET ZEINAB'S DAUGHTER.! SPORAH AND THE BEAUTIFUL FIA..! TIME FOR THE SPORAH SHOW MINI COMPETITION.! 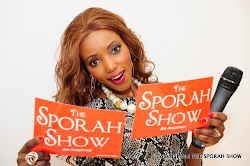 SPORAH INTRODUCING THE SPORAH SHOW MINI COMPETITION..! IT WAS A LITTLE GAME ABOUT BRANDING A PRODUCT. ! IT' WAS FUN, LOVE IT.! JOB DONE..! OKAY GUYS SO WHO IS THE WINNER? FIND OUT WHO WON?? ON MONDAY 9:30PM TO 10:30PM ON SKY 184: BEN TV. MAKE SURE YOU TUNE IN ... NEXT MONDAY AT 9.30PM TO 10:30PM ON BEN TV- SKY 184. How to get on to your show Sporah? please check your email. I went to Uni with Arnold, Gosh, The world is so small. she bcm a mother in 3 days???????? ?